Thanks to BHPian Silverfire for sharing these images with other enthusiasts! 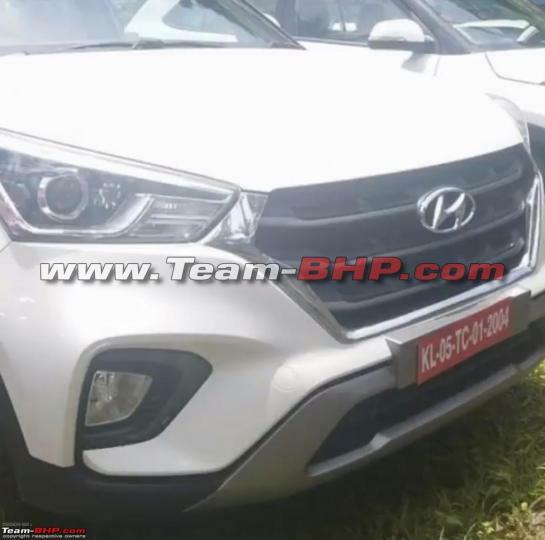 Hyundai is gearing up to launch the Creta facelift this month. As a precursor to the launch, first units have started arriving at dealerships. 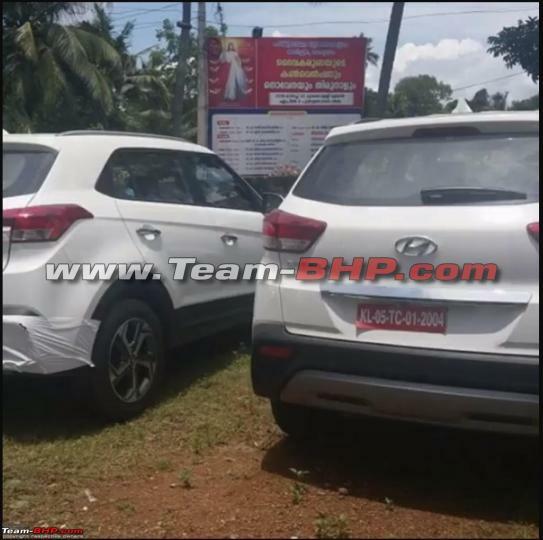 According to recent leaks, the Creta facelift is likely to be offered in 5 variants - E, E+, S, SX and SX (O). The latest spy images reveal the car in much more detail. The front features a new cascade grille with a chrome frame flanked by new headlights with projectors and a new front bumper with revised fog lamp housings. The rear features wraparound tail lights and bumper with integrated reflectors and a scuff plate. The 17-inch dual-tone alloy wheels and sunroof will be available on higher variants. 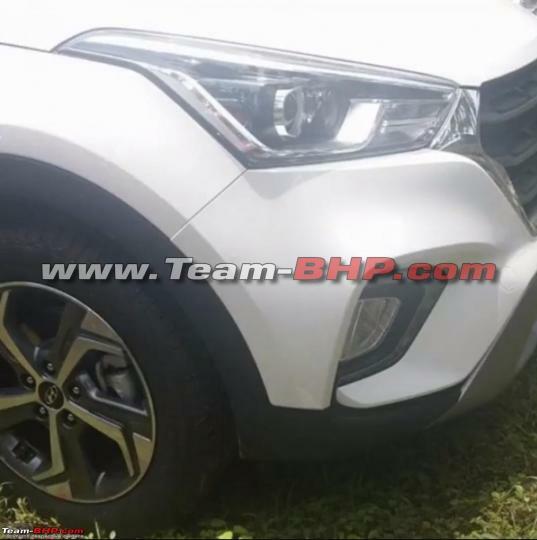 The Creta will get blacked-out A and B-pillars and ORVMs with integrated turn signals. 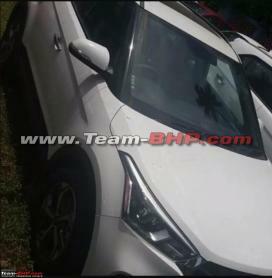 On the inside, the Creta is expected to get the same dashboard layout as the outgoing model except with a few minor modifications. The air-conditioning vents are likely to be finished in bright metallic paint, while the seats get new fabric seat covers. Cars with a dual-tone exterior get colour-matched interior trim. Moreover, select variants will get features like cruise control and power adjustable driver seat. Under the bonnet, the Creta facelift will continue to use the same range of engines as its predecessor. These include a 1.6-litre, 4-cylinder petrol unit with 123 BHP, 1.6-litre, 4-cylinder diesel engine with 126 BHP and a 1.4-litre, 4-cylinder diesel with 89 BHP of peak output. Transmission options will include a 6-speed manual and 6-speed automatic.